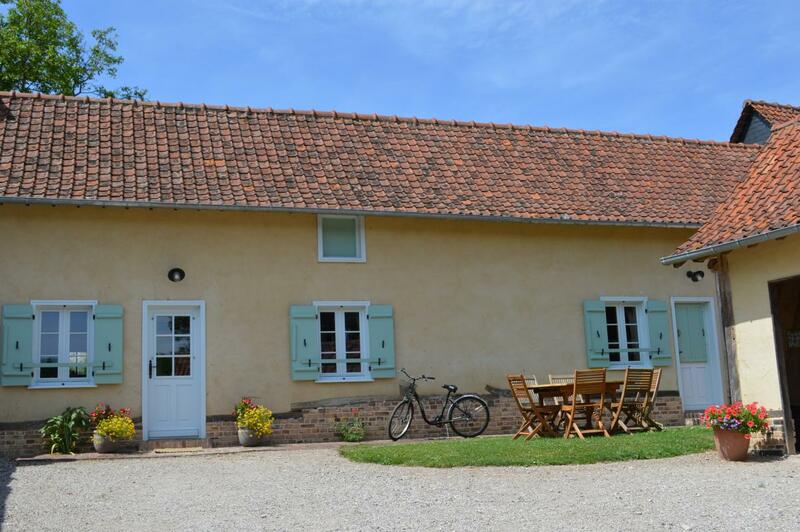 In village, self-contained Picardy longhouse (87 sq.m.) fully restored in traditional style (cob walls on outside). 1 step to access. Ground floor: fitted kitchen opening onto dining room (fireplace) and lounge area, bedroom (queen-size bed), shower room, separate WC. 1st floor: 2 attic bedrooms (queen-size bed) (two 90x200cm beds), bathroom, separate WC. Electric heating (extra charge). Enclosed, flower-filled courtyard at front. Outbuilding (trampoline, table tennis table). Household linen (tea towels) and tourist tax included in rent. Bikes, boules pitch with set of boules available. Free WIFI Internet access.